The Cubberley School Site Council is seeking nominations to fill one parent vacancy. School Site Council members serve a two-year term and meet approximately 5-6 times a year, between the hours of 3:30 to 5:00 pm. If you are interested in being considered for this position, please send an email to Mrs. Dassero no later than Wed., September 19th at kdassero@lbschools.net. Voting will occur at Back-to-School Night for elementary parents and via School Loop for middle school parents. ATTENTION ALL ACTORS AND THEATRE TECHIES! Coming this fall, the Young Actors Theatre Workshop is very honored to begin it's tenth year at Cubberley School. The Young Actors Theatre Workshop is an after-school enrichment program under the artistic direction of Marie Contreras Romero and assisting as costume designer, Suzette Picazo. The workshop is dedicated to instilling an appreciation for the dramatic arts with lessons in script interpretation, auditioning for roles, fundamental acting techniques, stage movement, and character development. Participants are also introduced to sound and lighting design, set construction and painting, and production performance. During the rehearsal process each student is encouraged to explore their imagination through emotional, verbal and physical expression, and as they interact through creative teamwork, a strong camaraderie with their fellow students is developed. Throughout this process, the YATW strives to help build self-confidence, encourage the acceptance of others, recognize each participant's artistic talent, and give each student the opportunity to shine and have fun. The culmination is a rewarding ensemble production performance that will inspire, enlighten and entertain audiences. Tuesday, September 11 from 3:30-5:45 p.m.
Wednesday, September 12 from 3:30-5:45 p.m.
Thursday, September 13 from 3:30-5:45 p.m.
Friday, September 14 from 3:30-5:45 p.m.
Wednesday, September 19 from 3:30-5:45 p.m.
Thursday, September 20 from 3:30-5:45 p.m.
Friday, September 21 from 3:30-5:45 p.m. The workshop will meet on Wednesday, Thursday and Friday in the auditorium. Students interested in acting, prop and set construction, or being part of the technical crew and costume design are welcome. There will be a workshop fee. The play performances will be held in December. Instagram, Snapchat, Twitter, Kik, ...most kids and teens use them, but many parents aren’t sure what these apps do or how they might create risk for online bullying, exposure to strangers, or access to inappropriate or upsetting images or language. According to the Pew Research Center, the average American child spends seven hours a day of screen time. Do you know what your child is doing online? Who they’re connecting with? To demystify the tech and learn to help kids stay safe online, please join us at 6:30pm in the auditorium on Thursday, May 17th for the final session of this year’s Cubberley Parent Education Series, Social Media: Kids & Teens And Online Safety. In this one hour session, we’ll explore and discuss tools and strategies for helping kids engage in social media in ways that are safe, respectful, and fun. We’ll offer practical tips, tools, and strategies for how to set and maintain safe boundaries for online activities, as well as ways to nurture strong family communication and help kids responsibly engage in online communities via social media. Please RSVP your interest in attending Social Media: Kids & Teens And Online Safety to leahmacpherson@me.com. Each CPES session is created for parents, but kids and teens are always welcome to attend. We look forward to seeing you and exploring issues that are important to Cubberley families. 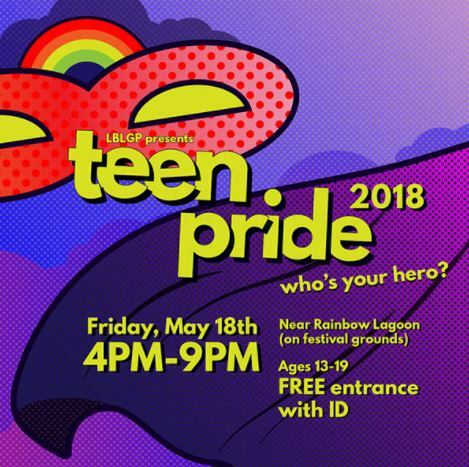 LBLGP presents Teen Pride 2018 from 4 to 9 p.m. Friday, May 18 near Rainbow Lagoon (on festival grounds). 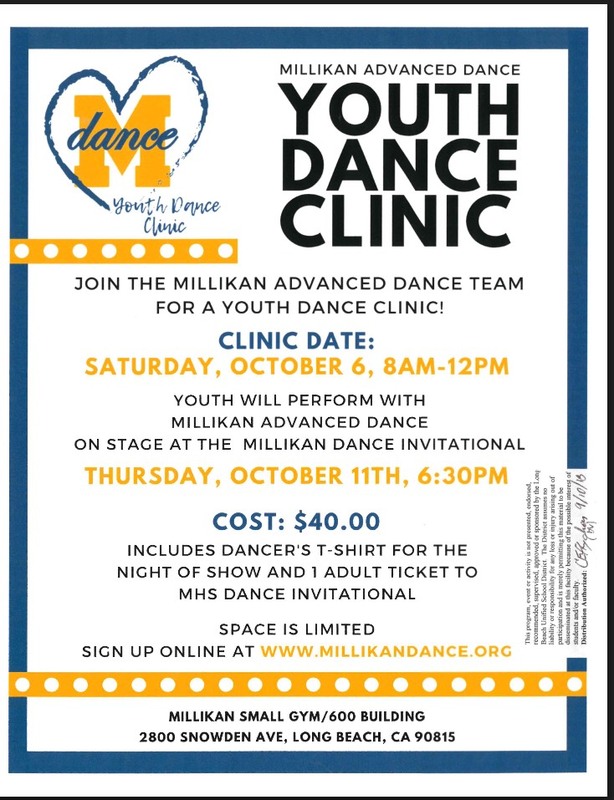 The event is free for youth ages 13 to 19. View the attached news release and flier for additional information. This year, Cubberley staff will be honoring our VIPS at a Breakfast on May 31st from 9 - 10:00 am in the cafeteria. Invitations will be sent home soon. During the month of June, take your report card into Flippin' Pizza for a free slice of pizza and a drink. See the attached flyer for more information. Cubberley students may dress in Star Wars themed dress on Friday, May 4th. No masks, please. Tomorrow, April 25th, is the final day for after school Homework Help this school year. Everyone is invited to attend the Trouble in Paradise Junction production. Performances will be at 6:30 pm on Friday, May 4 and Saturday, May 5. The performance is free, but donations are welcomed. Please see the attached flyer for additional information.